While packaged goods company earnings and other high-frequency indicators show an improvement in rural consumption, it has to be reconciled with rising rural distress. 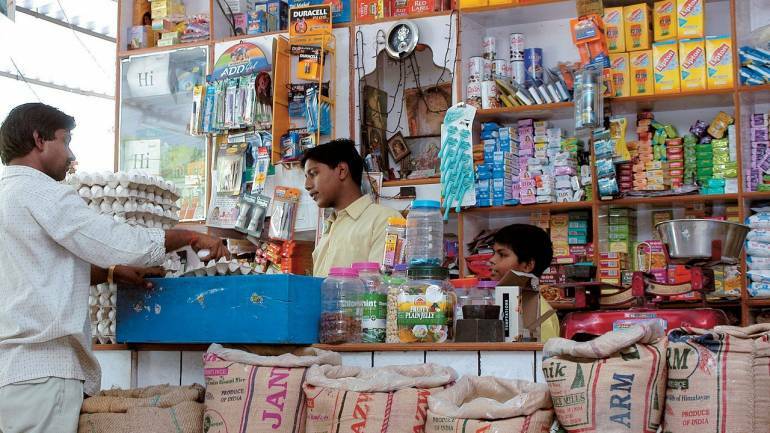 Last week, Hindustan Unilever (HUL) said the rural market - which accounts for about 40 percent of its revenues – is growing at 1.25 times that of the urban market which helped the packaged goods company post a 10 percent volume growth. That suggests a robust improvement in rural income coming on the back of a four percent volume growth a year ago. However, HUL’s quarterly earnings also add to the confusion surrounding the rural economy for quite some time now. While packaged goods company earnings and other high-frequency indicators show an improvement in rural consumption, it has to be reconciled with rising rural distress. For instance, on October 2, police used water cannons and tear gas to disperse a large contingent of farmers from entering the national capital. Sure, such an incident can be dismissed as a political move by a farmers’s organisation less than a year before the general elections, but there is one telling statistic which shows rural distress is real: Growth of rural wages has been decelerating sharply since the middle of last year to touch a three-year low in January this year, and has not shown much recovery till June. A Crisil report stated calendar 2018 is turning out to be another year where farmer incomes remain low as rainfall distribution has been patchy. Higher minimum support prices (MSPs) have done little to lift crop profitability so far. So, the question is where is the rural demand coming from? There are a couple of factors that could explain this seeming dichotomy. For one, the demand increase in rural markets is happening in some pockets only as loan waivers put more money in the hands of people. Some state governments such as Karnataka, Uttar Pradesh, Maharashtra and Punjab have already written off farm loans. HDFC Bank Chief Economist Abheek Barua had said in July that the lender has its “reservations over the extent of increase (in rural incomes) as this could be due to loan waivers”. Second, while the true impact of MSP implementation will be known only by November, rural sentiment may have improved because of expectations of populist policies from the government in the run-up to the general elections. A related point is that non-farm income is improving as the government accelerates projects to develop housing, roads, electrification, irrigation etc. given the importance of rural India. For companies such as HUL, there is a third factor that explains a spurt in rural consumption. This would not be applicable across the board and explains why the 10 percent volume growth should not be taken as a sign of a larger trend. That factor is fresh customer acquisition in new markets because of increasing formalisation. The implementation of the Goods and Services Tax (GST) has helped HUL to increase speed to market by 1.4 times and enhanced reach and quality of distribution by 1.3 times, its management noted in the company ’s second quarter results presentation. During the past couple of years, HUL also expanded its retail reach from around 6.3 million outlets to about 7 million outlets, most of which are in non-urban markets. Thus, a fresh set of consumers, who are trading up from local brands or unbranded products will show up in the formal sector indicators. Penetration of formal sector goods is low in rural areas. Even on an all-India basis, many packaged goods products have a very low penetration, such as antiseptic cream (25 percent), face wash (11 percent), ayurvedic oil (8 percent), deodorants (8 percent) talcum powder (41 percent), according to a CARE study. The implementation of GST has made the supply chain mechanism simpler. Markets, that were so far untapped by the formal sector or partly covered through unorganised Kirana retail, are now coming into the fold. While this might have been happening in a smaller way earlier, it would have speeded up after GST. Thus, while HUL’s earnings could well continue to be robust, this is not to be taken as a signal that all is well with rural India. Terms of trade are against the farmer. Even in pockets, where farm loan waivers are driving consumption now, the question is what happens over the medium run. For a sustainable rise in rural incomes, more needs to be done to address the structural problems in the agriculture sector and continued rural infrastructure investments will also help.